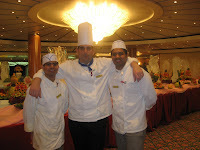 Hi,I'm Veeru, Completed my Degree in Hotel Management from 'Culinary Academy of India' - www.iactchefacademy.com. I hold an intermediate in Food Hygiene Certificate and always try to keep up to date so that I can ensure that I am always working to the highest standards of food safety. I love travelling and visiting new places to explore different flavors of food. Spend free time in watching movies and listening to music. I enjoy taking on new challenges. Secured 1st position in Continental cuisine “Express Hotelier & Caterer” Competition held at Niraj Collage of Hotel Management & catering Technology. Costa crociere S.p.A trading as costa cruises is a British Americian owned italian cruise line based in Genoa, Italy & under control of carnival corporation. 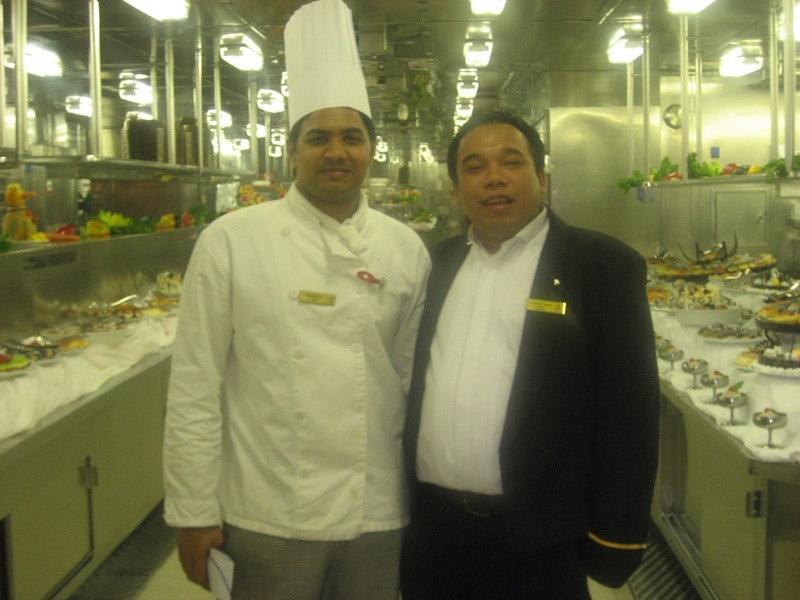 Spent nearly 5 years with Costa Cruise Lines as Commi Chef and learned to work with different levels of food quality. Worked in Bakery section in making the bread rolls, focassia multi grain breads, specialty breads, croissants, danish, muffins, doughnuts, pizzas mini pizzas mainly for lunch, dinner breakfast & gala buffets. Handled roast section with different varieties of meat like beefsteak, , chicken, rabbit. Prepared cheese and cold cuts in buffet preparation section. Also got an opportunity to work in the vegetable section and was responsible for section as prepared roast, chateau, baked, lyonaisse, mashed, dauphine, ducheese potatoes. 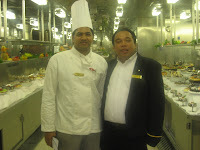 Worked with Grand Hyatt, Goa; I was specialized in Continental, Indian, &Chinese cooking. My responsibility was to maximize the employee productivity through use of multi tasking, multi skilling, maintain the sanitation standards for kitchen, duty allocation of the kitchen staff, cost control of the kitchen by reducing waste, kitchen equipment as maintained to good condition with minimum breakage, training the employees to ensure that necessary skills to perform the duties, daily grooming to present in high standards and maintain the quality and presentation of food. Responsible for the dishes prepared accordingly through standardized recipes mainly to avoid waste & control cost. 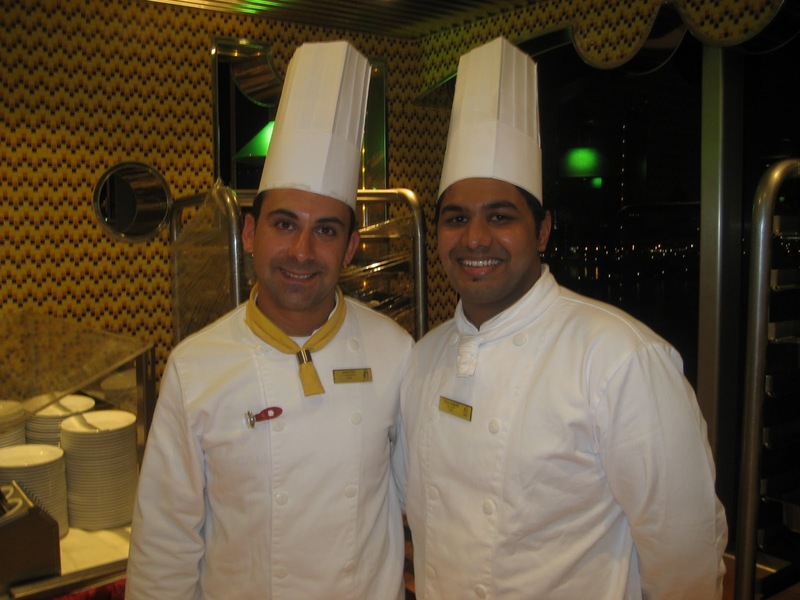 Was to plan menus considering customer base & popularity of various dishes, ensure of all standards of high hygiene & sanitation is maintained throughout kitchen areas all the times, Staffing & scheduling of staff in order to optimize manpower and meet the deadlines with multitasking and Create an environment that is high in employee morale & provides training with development. Specializes in Californian- pizza styles, widely known for its innovative and non traditional pizzas throughout the nation. At CPK, We Don’t See A Crust, We See A Canvas. Worked with California Pizza Kitchen as Assistant Kitchen Manager, Sous chef. Condition and cleanliness of facilities and equipment. Participating in outlet's revenue plan and marketing programs. Monitoring local competitors and compare their Food and Beverage operation. Participating in outlet budget plan. Worked for Kharafi Global's Nino's in Bahrain an fusion of authentic Italian cuisine from northern regions of Italy with creative and mouthwatering dishes. cuisine at Celebrity Chef MATTHEW KENNEY " The Plant+food+wine"
A complete lavish healthy food in Raw and Vegan style of cooking from the authentic flavors of Plant based by refreshing organic foods which enhance the healthy living and giving ultimate nutritious value with addind the essence of culinary advancement. Trend setting and vibrant organization in Bahrain, including contracting,catering and lifestyle followed by serving a classic French dining with every guest feels a gratifying and satisfying experience. You have various career options to choose from Hospitality industry, which can very easily be the key to discovering new countries, new culture and new people. You need to have the passion to succeed in whatever field you choose. Hotel management is a right subject to choose provided you have the passion and hard work by showing your creative skills. Every job was a learning experience! Keep going!